nee Cox. 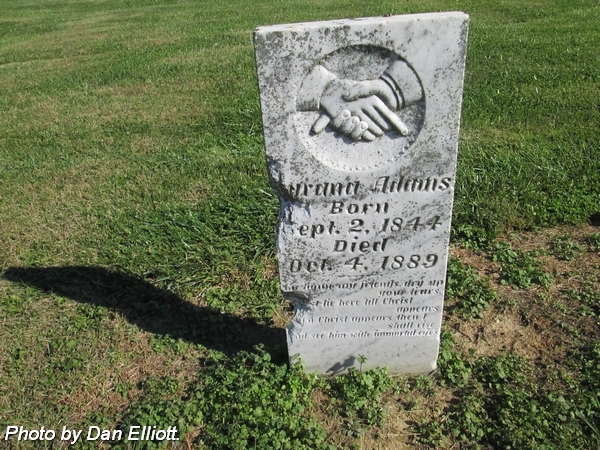 Wife of Benjamin Franklin Adams. 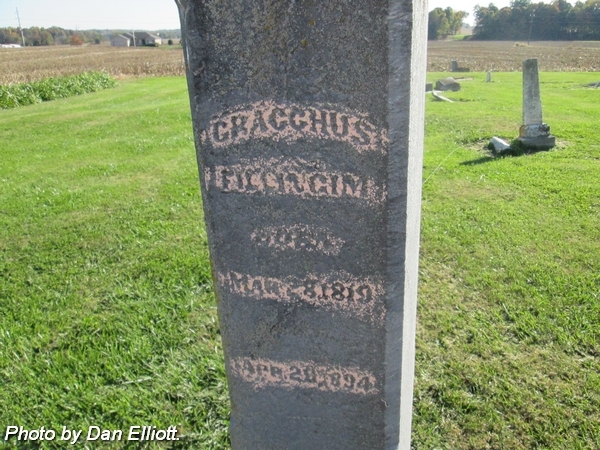 Married 9 Oct 1864. Daughter of David & Anna Damia (Fillingim) Cox..
nee Pollard. 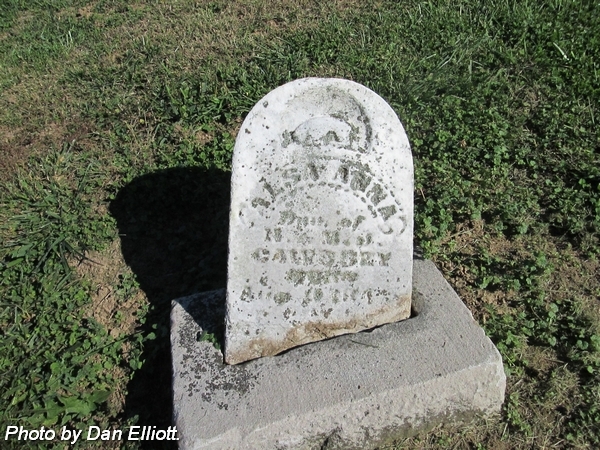 Wife of Frederick "Fred" Carney. 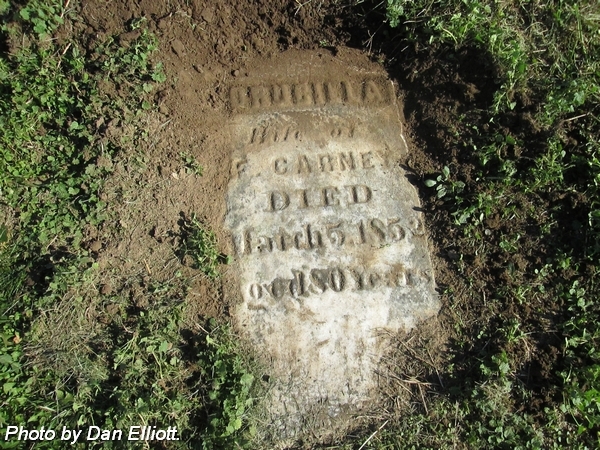 Married 30 Mar 1796 in Craven County, North Carolina. Husband of Drucilla "Dreusilla" (Pollard) Carney. Married 30 Mar 1796 in Craven County, North Carolina. 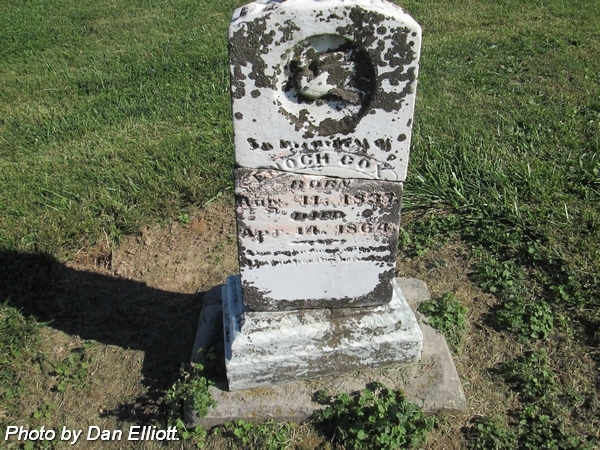 Son of John & Mary (Rochford) Carney. Husband of Martha Jane (Hightower) Caussey. 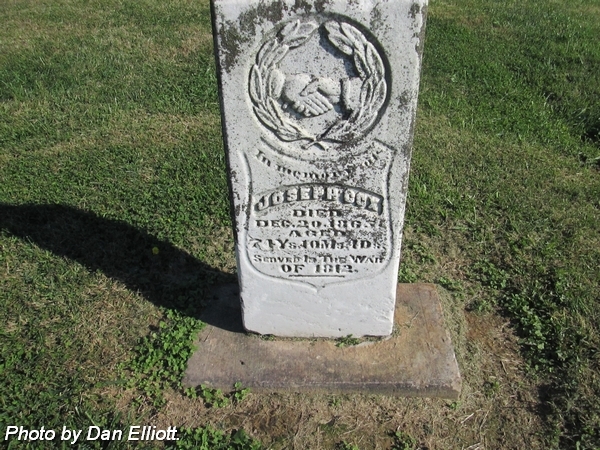 Married 12 Dec 1836 in Vanderburgh County, Indiana. Son of Greenberry & Charlotte (Smith) Caussey. 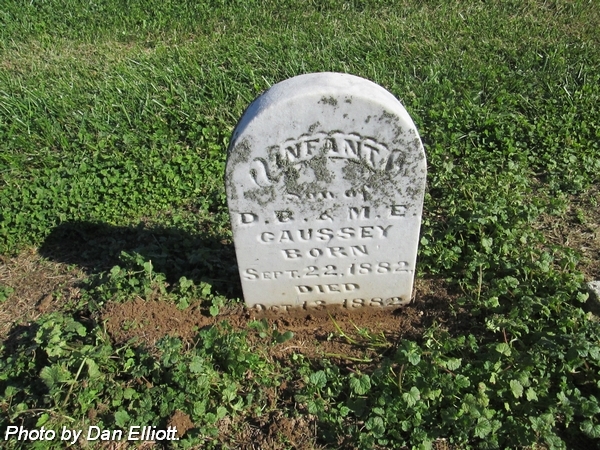 Note: Surname is spelled as "CAUSEY," "CAUSSEY" and "CAWSSEY." nee Highttower. Wife of Hutson Bryant Cawssey. Married 12 Dec 1836. Daughter of Abijah & Alasha (Sanders) Hightower. Aged: 57 ys. 8 ms. 3 ds. Note: Top of stone is missing. 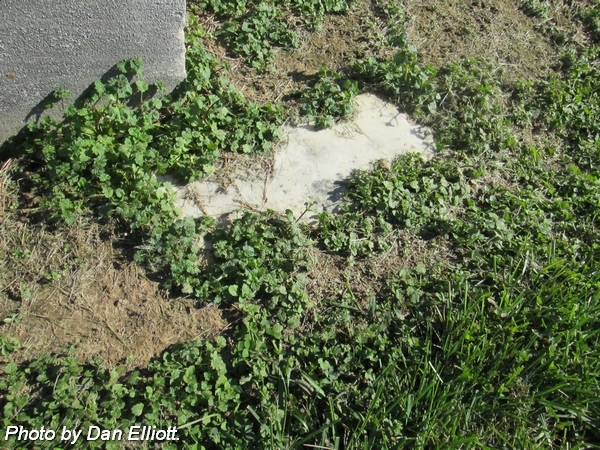 Identified by comparing fragment of date of death and "Aged" data. Son of David Bryant & Margaret E (Cox) Caussey. Daughter of Hutson Bryant & Mary Jane (Hightower) Cawssey. 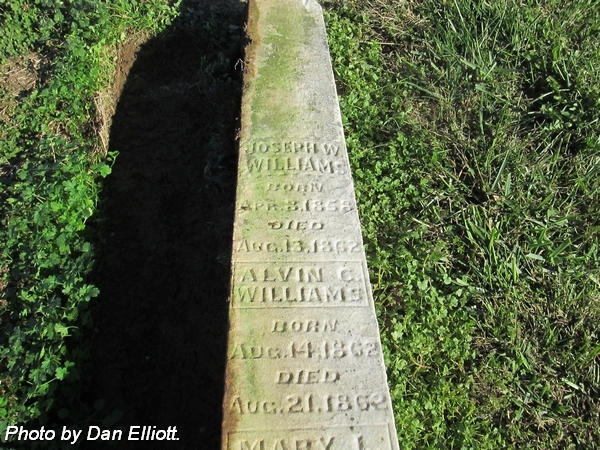 Note: The date of death is no longer readable. nee Smith. Wife of Greenberry Cawssey. Husband of Charlotte (Smith) Cawssey. Son of John & Ann Cawssey. Husband of Mary (Ramsey) Cobbel. Married 25 May 1857. 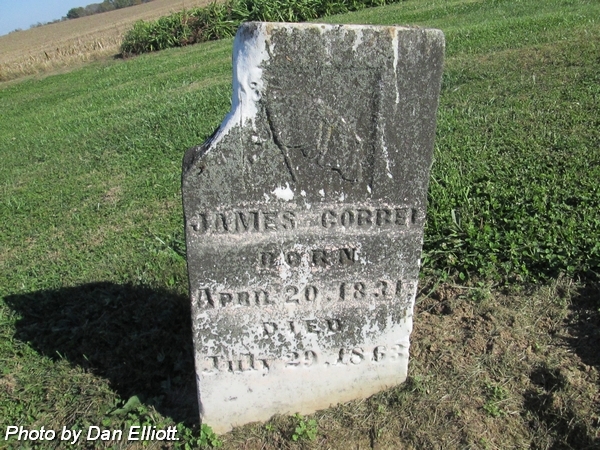 Son of James & Mary (Ramsey) Cobbel. 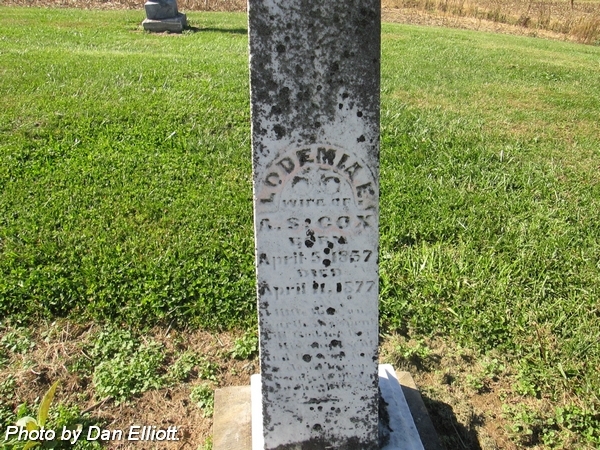 Husband of Lodemia E (Cox) Cox. Married 27 Feb 1873. Son of George Whiting & Sarena May (Forcum) Cox. Aged: 28 Y'rs. 5 Da's. 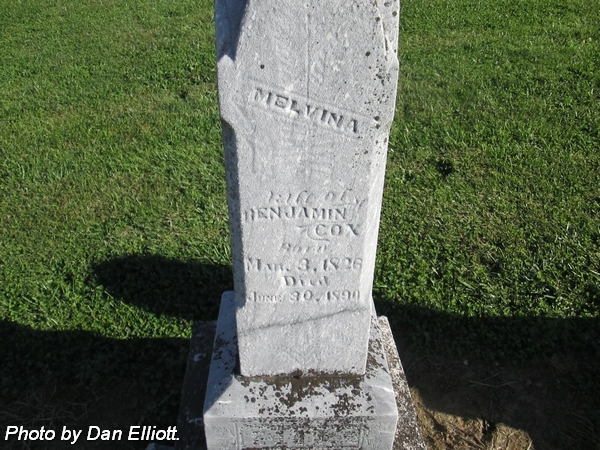 Son of Benjamin & Melvina (Gates) Cox. nee Fillingim. Wife of David Cox. Married 7 Mar 1834. Daughter of Enoch & Esther (Campbell) Fillingim. Aged: 49 y's 8 m;s 16 d's. 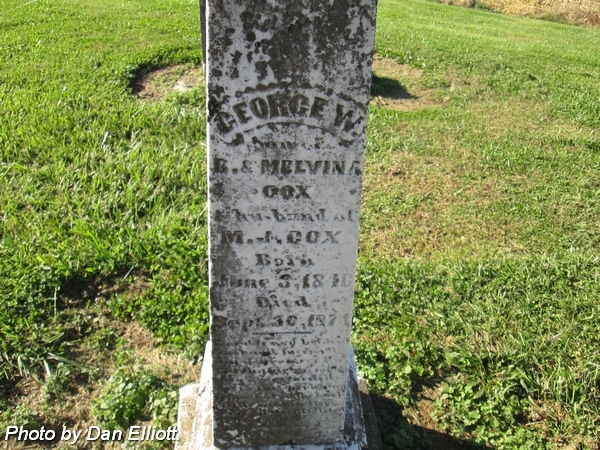 Husband of Melvina (Gates) Cox. Married 24 Jan 1844. 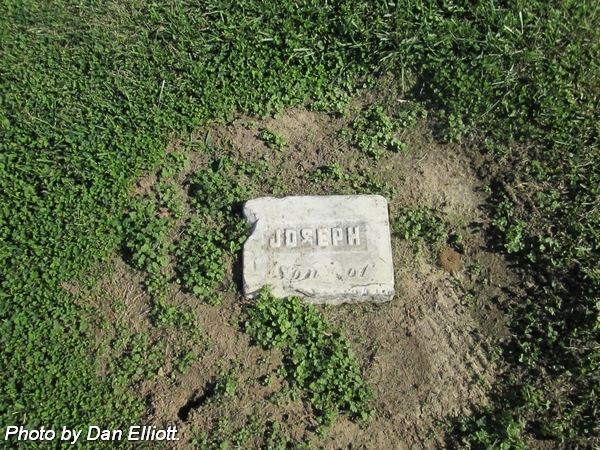 Son of Joseph "General Joe" & Elizabeth (Hunsaker) Cox. 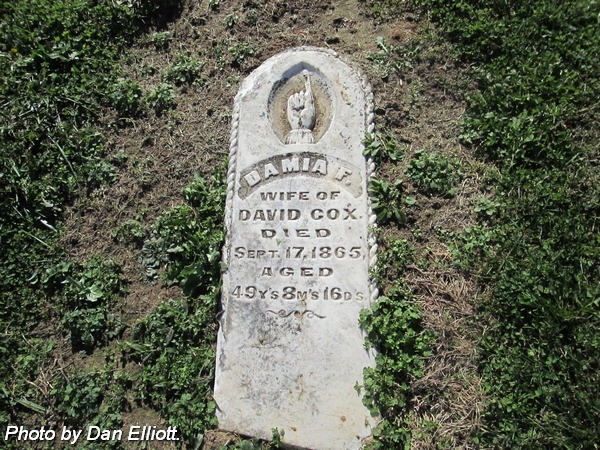 Husband of Anna Damia (Fillingim) Cox. 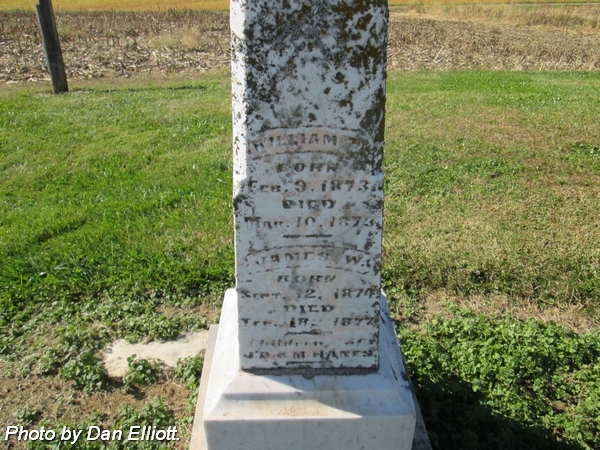 Married 7 Mar 1834.
nee Hunsaker. Wife of Joseph "General Joe" Cox. 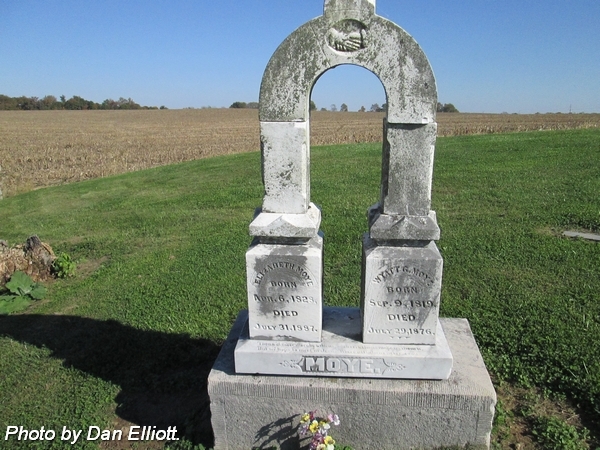 Married Dec 1810 in Muhlenberg County, Kentucky. Daughter of Joseph Hunsaker & Margaretha (Stinson) Steveson Hunsaker. 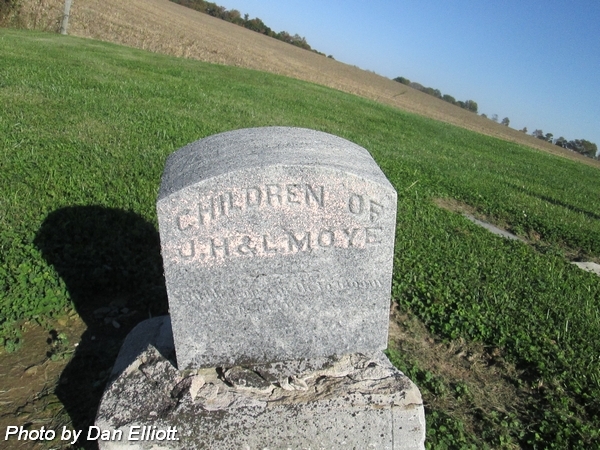 No headstone found Oct 2014. Husband of Mary Lucy (Forcum) Cox. 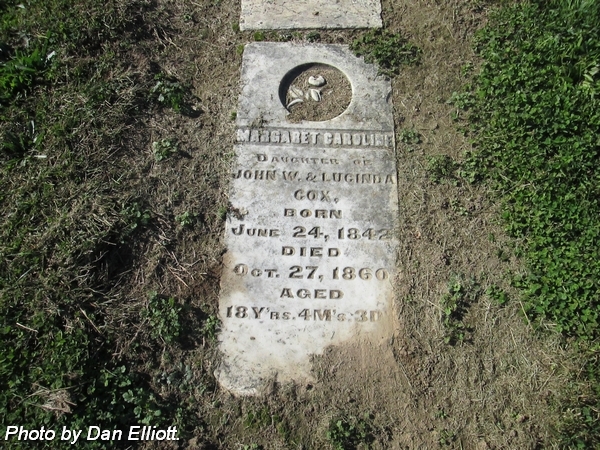 Married 1 Dec 1858. Son of David & Anna Damia (Fillingim) Cox. 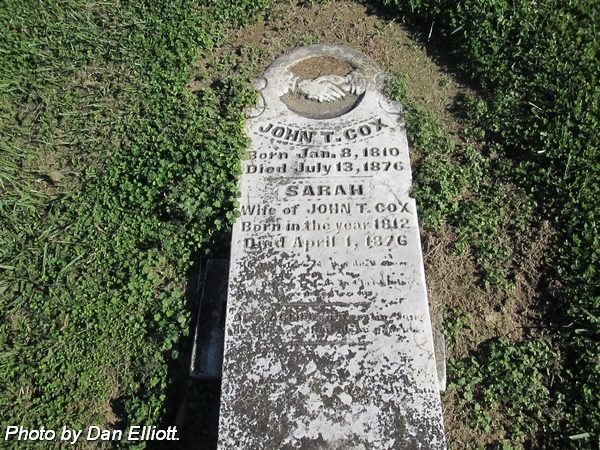 Husband of Sarah "Sallly" Cox. Son of Absolum & Martha "Patsy" (Garris) Cox. First husband of Martha Jane (Cornick) Cox Watson. Married 26 Dec 1867. Daughter of David & Anna Damia (Fillingim) Cox. Aged: 22 y's 1 mo. 2 d's. 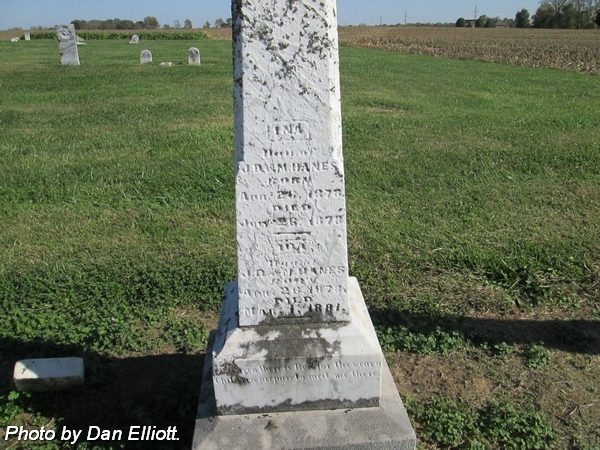 Husband of Melissa (Cater/Carter) Cox, 1st, married 24 Feb 1848 in Vanderburgh County, Indiana; and Miranda Ellen (Shockley) Cox, 2nd. 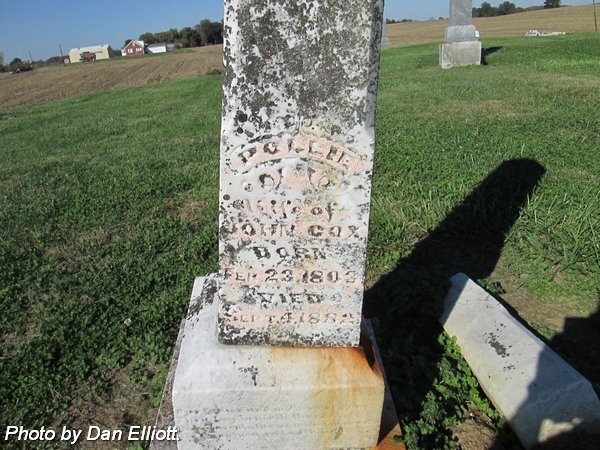 Husband of Mary "Pollie" (Cox) Cox. Married 25 Sep 1833. Aged: 37 Ys. 3 Ms. & 6 Ds. 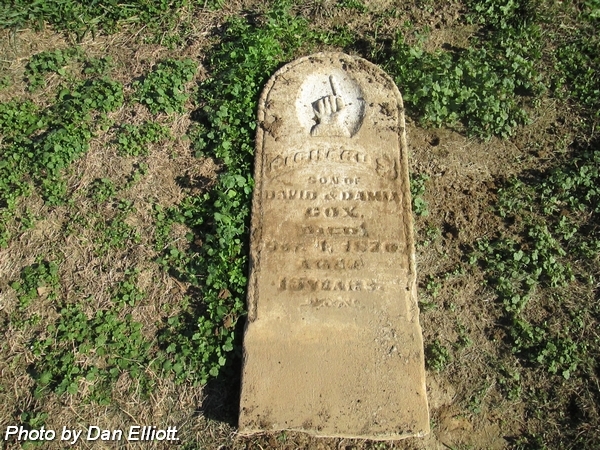 Husband of Sarah "Sally" (Harris) Cox. Married 24 Aug 1828. Husband of Nancy Caroline (Cox) Cox, 1st, married 27 Jun 1878; and Mary Melvina (McReynolds) Cox, 2nd, married 27 Sep 1893. Son of Absalom Abner & Nancy Jane (Allison) Cox. 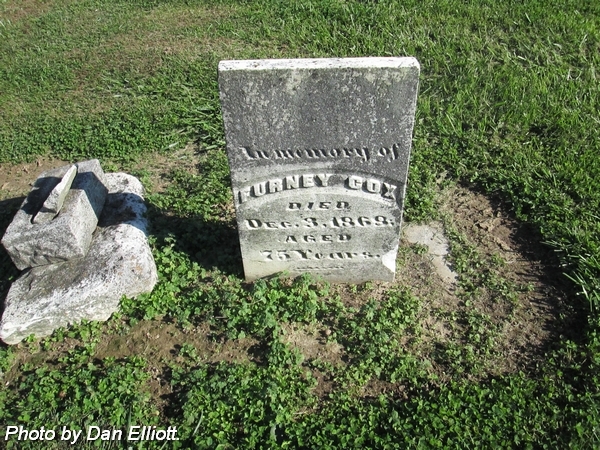 Husband of Elizabeth (Hunsaker) Cox. 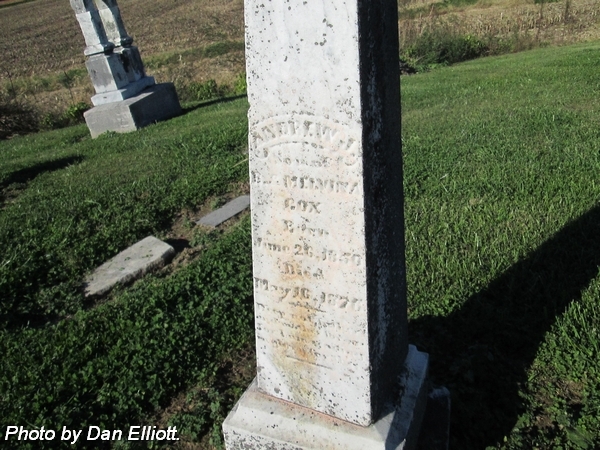 Married Dec 1810 in Kentucky. Aged: 71 Ys. 10 Ms. 4 Ds. nee Cox. Wife of Albert Stinson Cox. Married 27 Feb 1873. Daughter of Romelia Cox & Eliza Jane (Dyehouse) Hanes/Haynes Cox Norman. 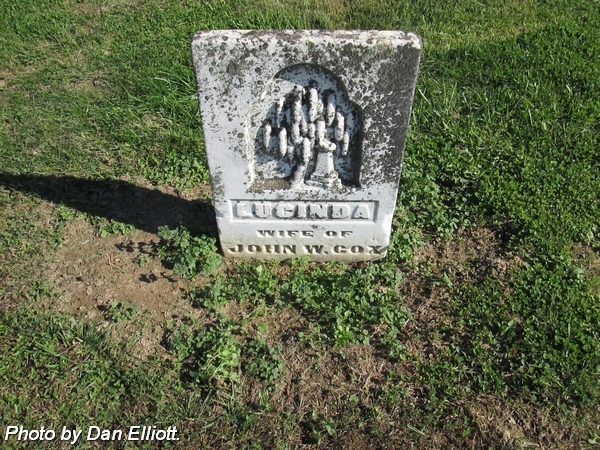 Daughter of John W & Lucinda Cox. Aged: 7 Y's. 10 M's. 5 D's. nee Haynes. 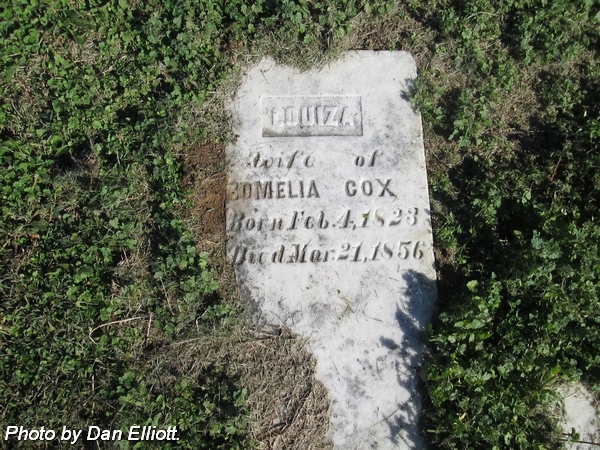 Frist wife of Romelia Cox. 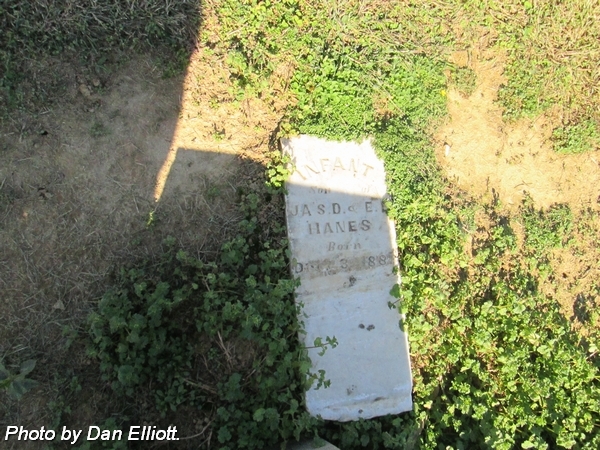 Married 21 Feb 1839.
nee Haynes. Wife of John W Cox. Married 1 Mar 1838. 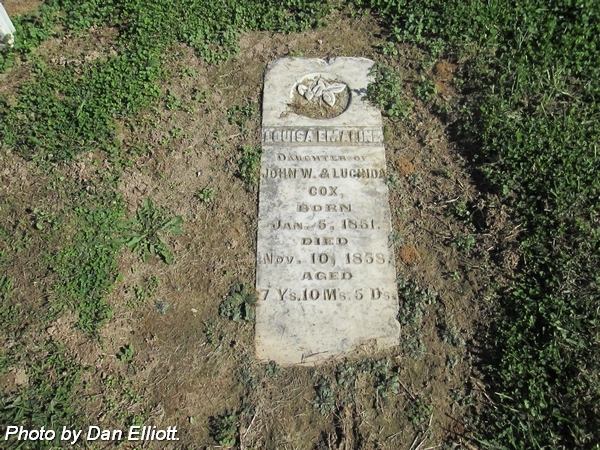 Daughter of John W & Lucinda (Haynes) Cox. Aged: 18 Yrs. 4 M's. 3 D's. nee Cox. 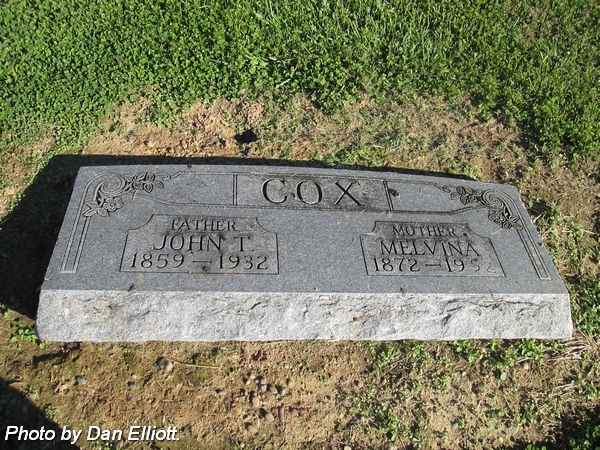 Wife of John D "Duck" Cox. Married 25 Sep 1833.
nee Forcum. 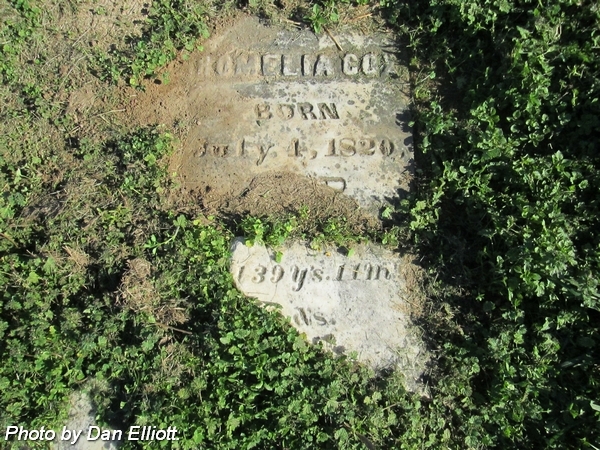 Wife of Enoch Hustin Cox. Married 1 Dec 1858. Daughter of John & Margaret Forcum. nee McReynolds. Second wife of John T Cox. Married 27 Sep 1892.
nee Cater. 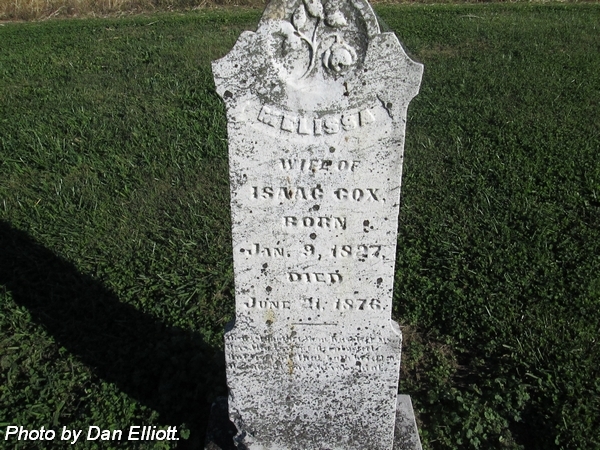 Wife of Isaac Cox. Married 24 Feb 1848.
nee Gates. 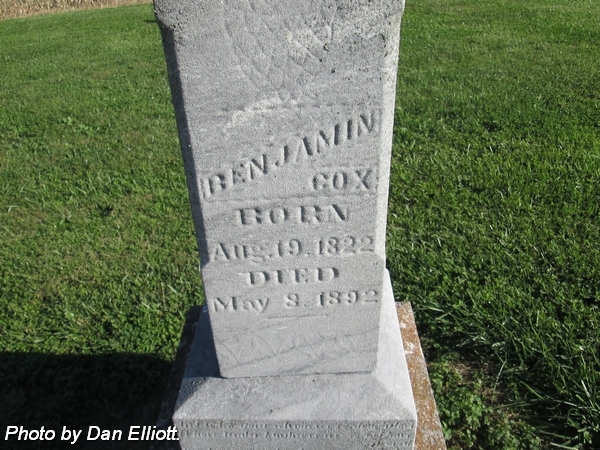 Wife of Benjamin Cox. Married 24 Jan 1844. Husband of Louisa (Haynes) Cox, 1st, married 21 Feb 1839; and second husband of Eliza Jane (Dyehouse) Hanes Cox Norman, 2nd, married 19 Jun 1856. Aged: 39 y's 11 m's. ? d's. nee Harris. Wife of John T Cox. Married 24 Aug 1828. 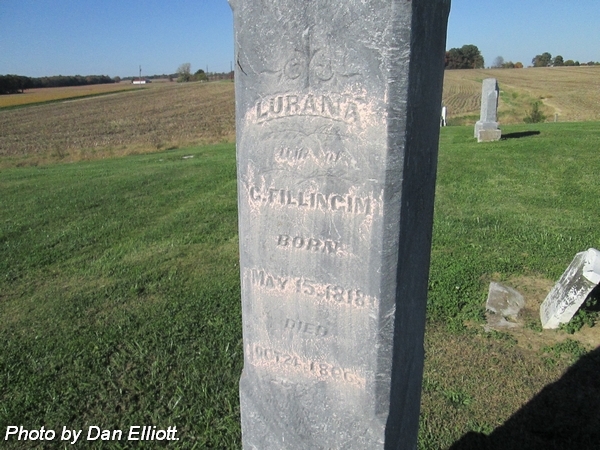 Husband of Lurana (Cox) Fillingim. Married 4 Feb 1844. Son of Enoch & Hester Hire (Campbell) Fillingim. Daughter of Joseph "General Joe" & Elizabeth (Hunsaker) Cox. Daughter of Gracchus & Lurana (Cox) Fillingim. nee McElroy. Second wife of James Dyehouse Hanes. 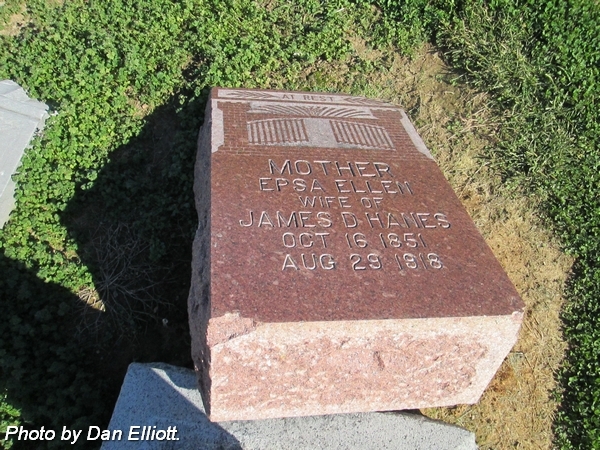 Daughter of James Dyehouse & Epsa Ellen (McElroy) Hanes. 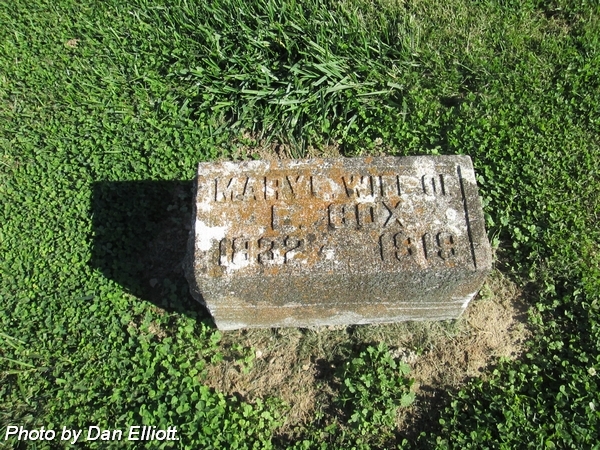 Daughter of James Dyehouse & Mary (McElroy) Hanes. 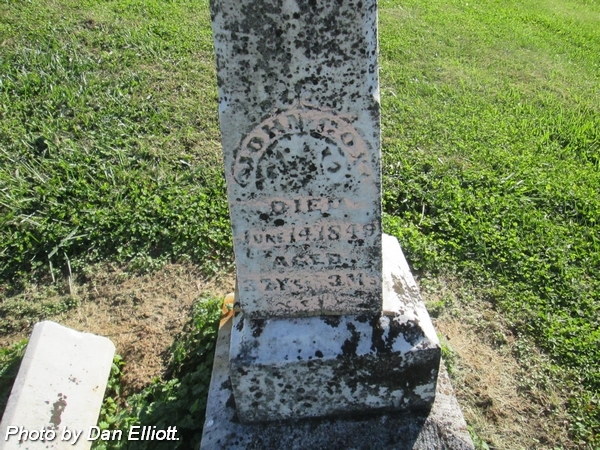 Note: "Ida" on small stone to south side of monument. 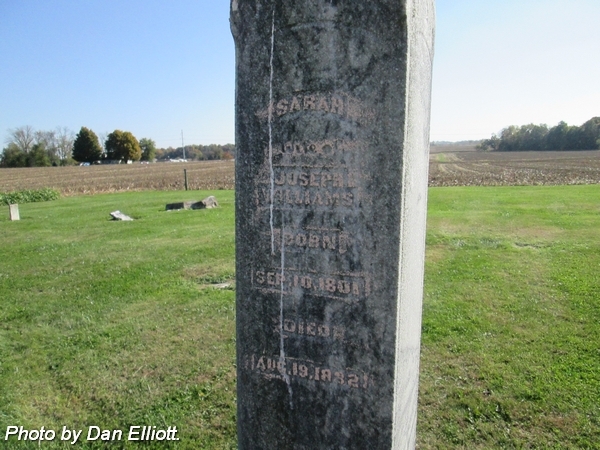 Note: "Ina" on small stone to north side of monument. 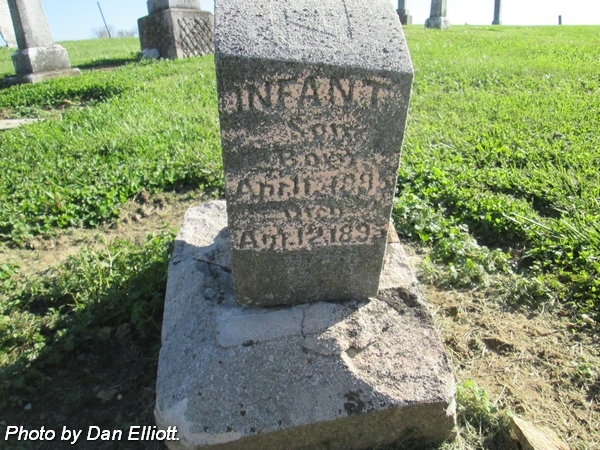 Infant son of James Dyehouse & Epsa Ellen (McElroy) Hanes. 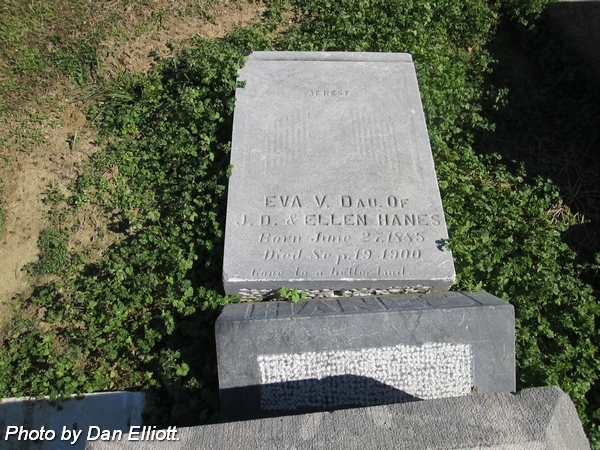 Husband of Mary (McElroy) Hanes, 1st; and Epsa Ellen Hanes, 2nd.. 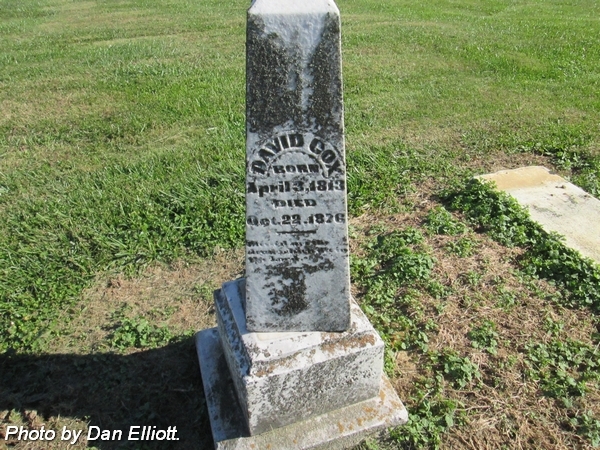 Son of John Andrew & Eliza Jane (Dyehouse) Hanes. 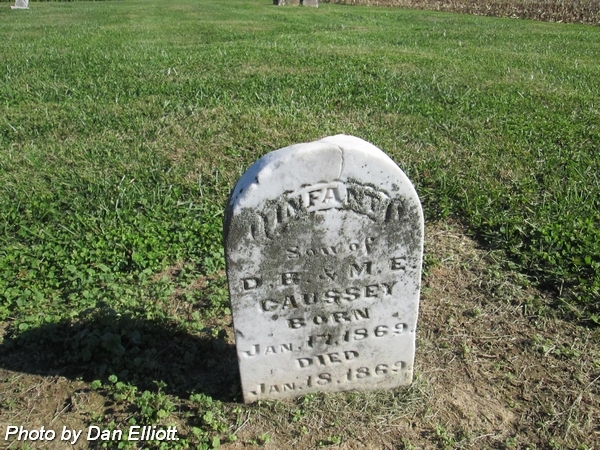 Son of James Dyehouse & Mary (McElroy) Hanes. nee McElroy. First wife of James Dyehouse Hanes. 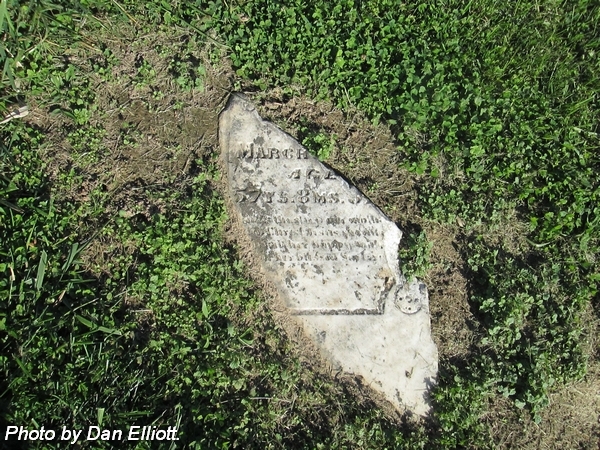 Son of James Dyehouse & Mary M Hanes. 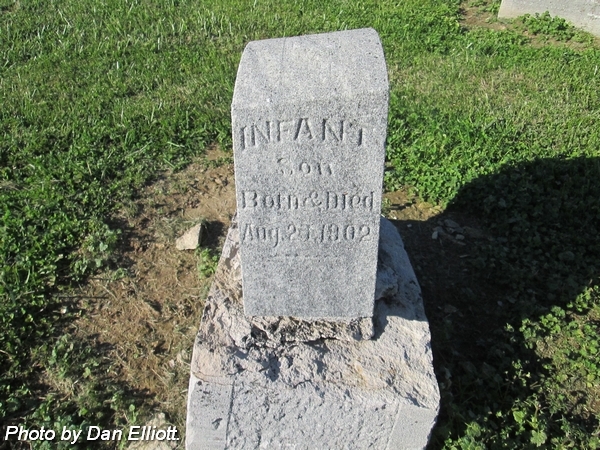 Infant son of James Henry & Luvina (Hunsinger) Moye. nee Owens. Wife of Wyatt Gray Moye. Married 27 Jul 1845. 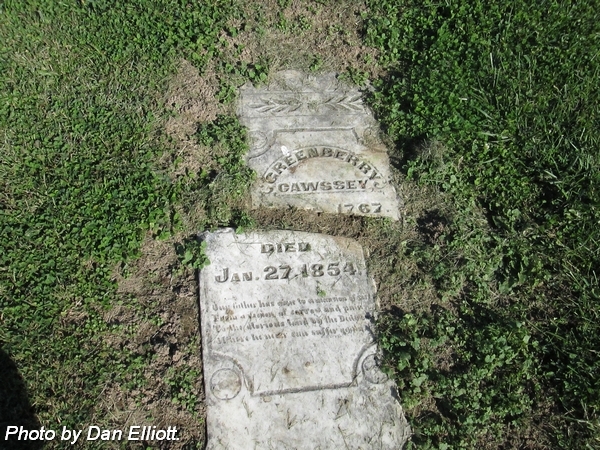 Daughter of James Henry & Sarah (Cox) Owens. 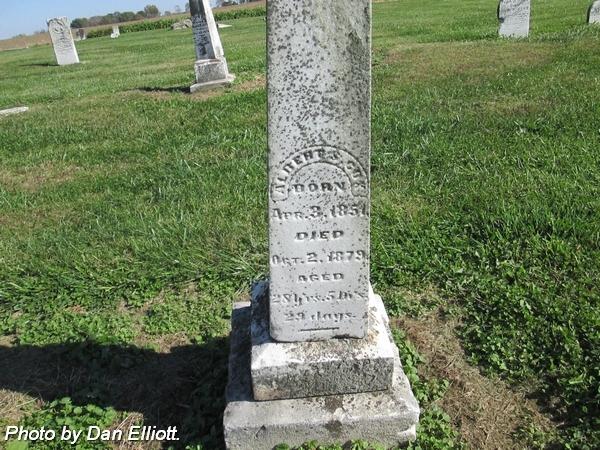 Husband of Mary Elizabeth Ann (Owens) Moye. Married 27 Jul 1845. 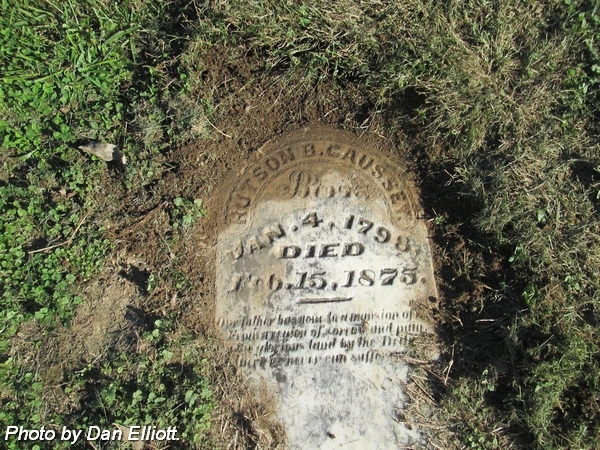 Son of John Cass & Alice Alsey (Brown) Moye. nee Dyehouse. Wife of John Andrew Hanes/Haynes, 1st, married 20 Apr 1834; Romelia Cox, Sr, 2nd, married 19 Jun 1856; and William M Norman, 3rd, license issued 5 Sep 1864**. Daugter of James & Margaret (Adams) Dyehouse. *Note: Posey County Health Dept. 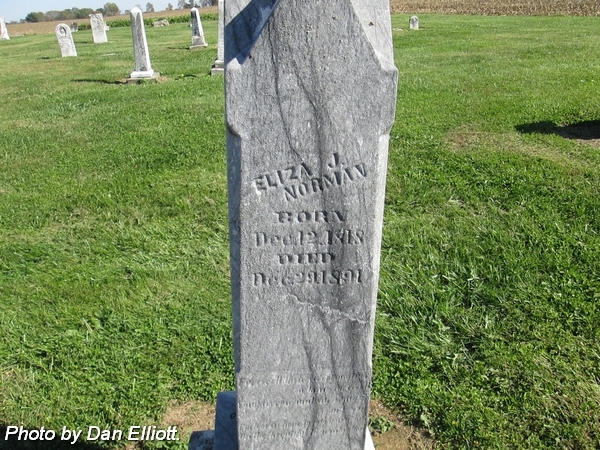 records report her name as "Louisa J Norman" and death date as "9 Dec 1891." Died of "Dropsy" with complications of "LaGrippe." She was born in Mount Vernon, Kentucky. Both parents place of birth reported as Richmond, Virginia. **Note: Posey County Marriage Book 5:139. No record of marriage return information. nee Fillingim. 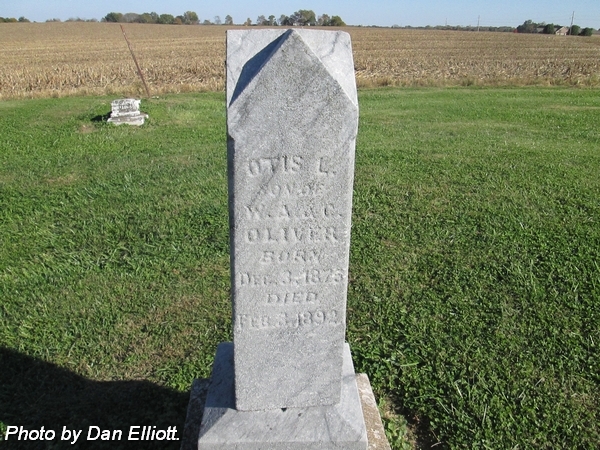 Wife of William A Oliver. Married 16 Jan 1873. Daughter of Gragichas & Lurana (Cox) Fillingim. 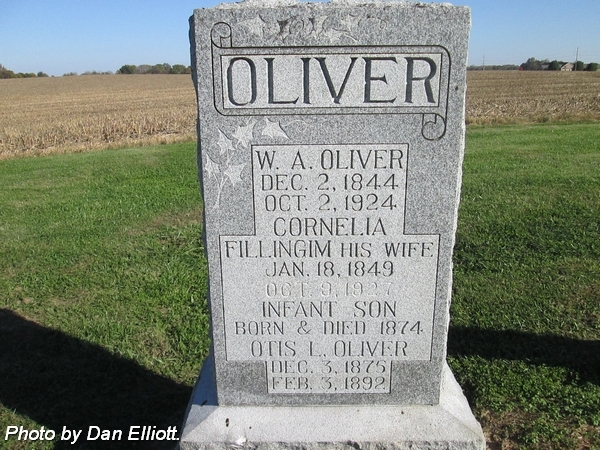 Infant son of William A & Cornella A (Fillingim) Oliver. Son of William A & Cornella A (Fillingim) Oliver. Husband of Rachel (Causey) Oliver, 1st, married 20 Dec 1866; and Cornelia A (Fillingim) Oliver, 2nd, married 16 Jan 1873. Son of Job & Elizabeth (Jones) Oliver. nee Rister. 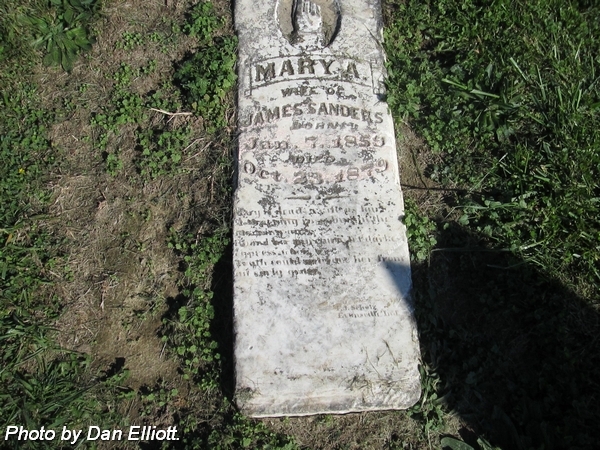 Wife of James Sanders. Married 22 Sep 1878. 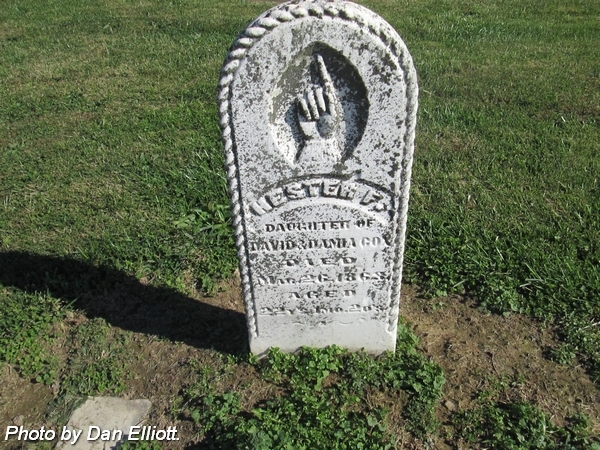 Daughter of James & Rhoda (Haynes) Rister. Husband of Sarah E (Caussey) Walls. Married 16 Jun 1872. 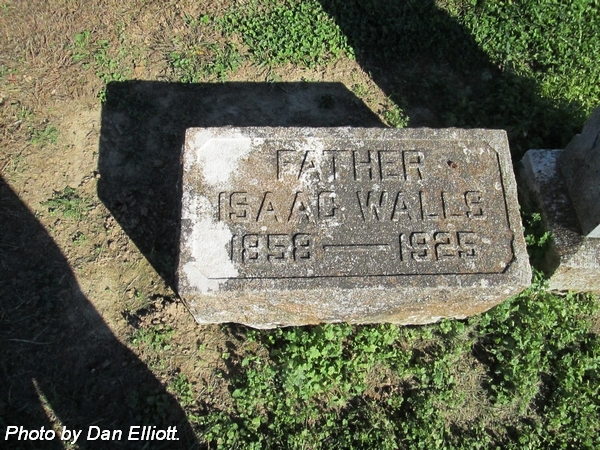 Son of James & Rebecca (Brewer) Walls. nee Caussey. 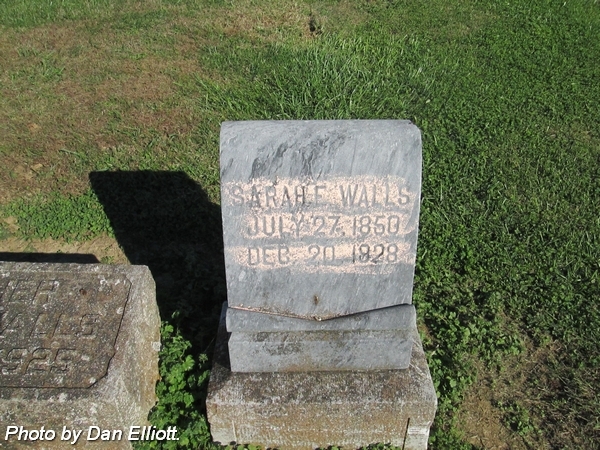 Wife of Isaac Walls. Daughter of Hutson & Martha (Hightower) Caussey/Cawssey. 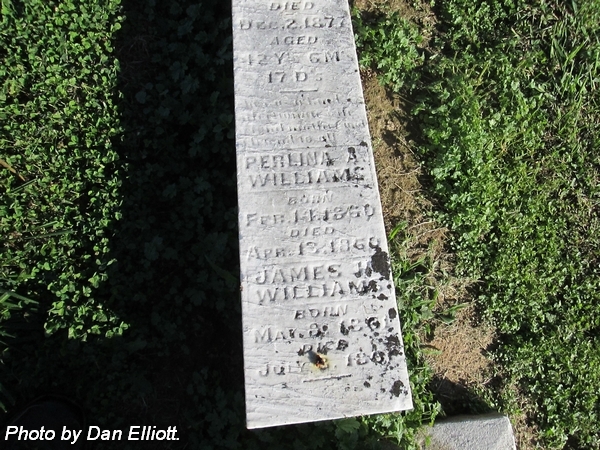 Son of Frederick B & Martha Argent (Cross) Williams. 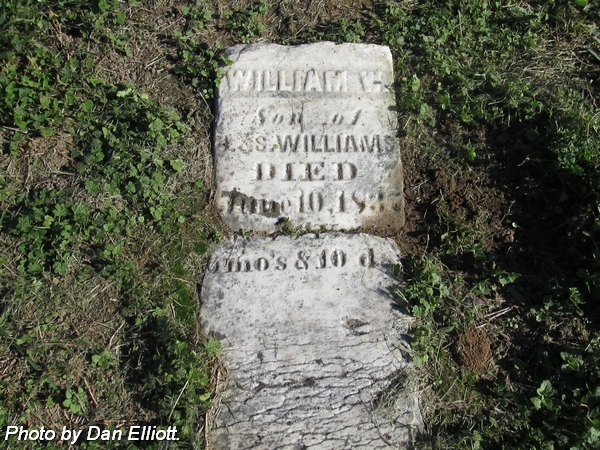 Son of Richard Wyman & Elizabeth Ann (Cox) Williams. 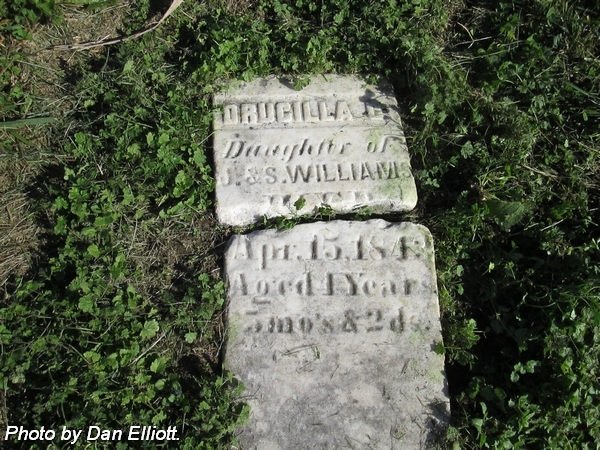 Daughter of Joseph & Sarah Williams. Aged: 4 Years 5 mo's & 2 d's..
nee Hanes. 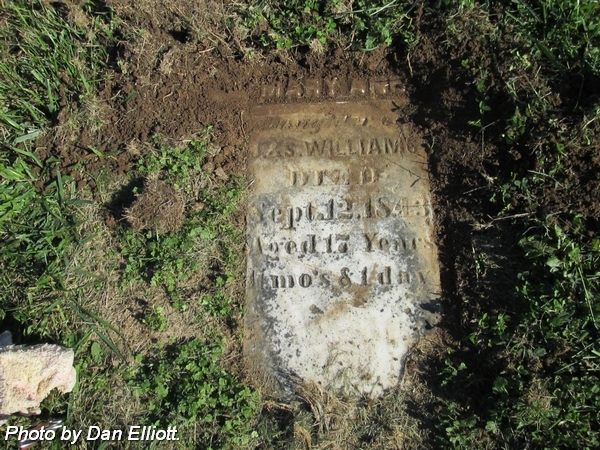 Wife of Joseph R Williams. Married 21 Sep 1882. 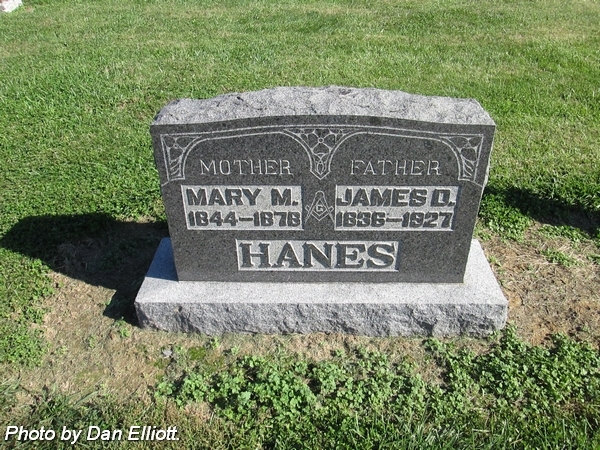 Daughter of James D & Mary (McElroy) Hanes. nee Cox. 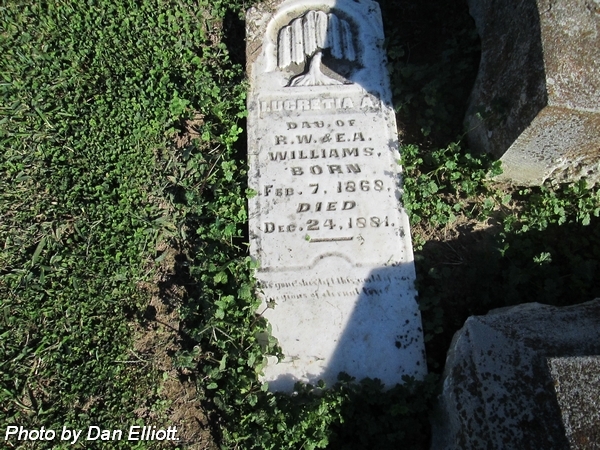 Wife of Richard Wyman Williams. Married 29 Aug 1852. Daughter of John & Mary "Pollie" Cox. 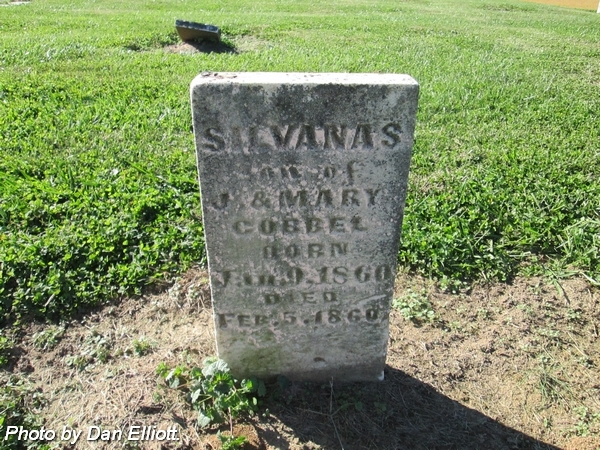 Husband of Sarah Florence "Sally" (Carney) Williams. Married 6 Jan 1825 in Craven County, North Carolina. 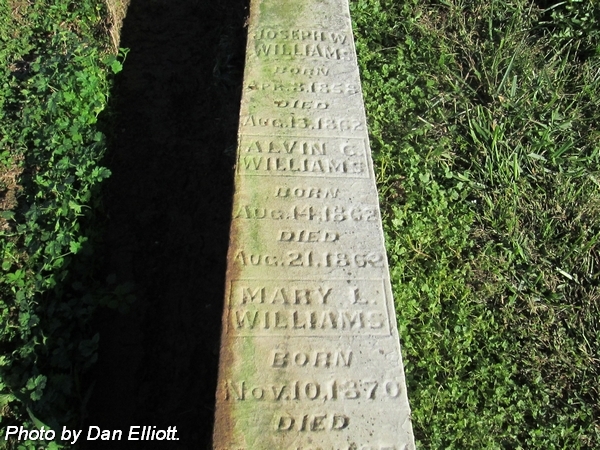 Son of Talbot & Nancy Williams. 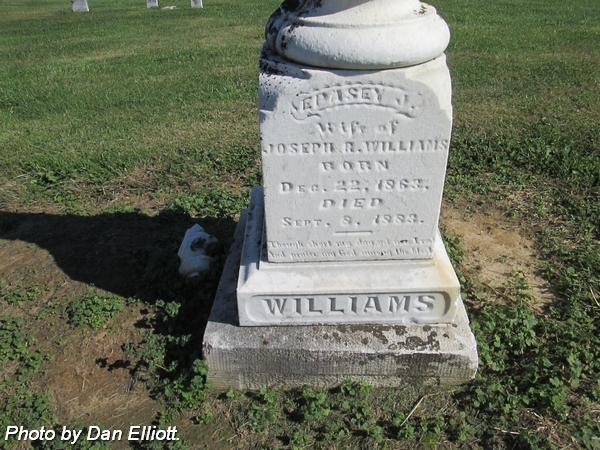 Son of Joseph & Sarah Florence "Sally" (Carney) Williams. Note: Stone is near that of the parents named above. 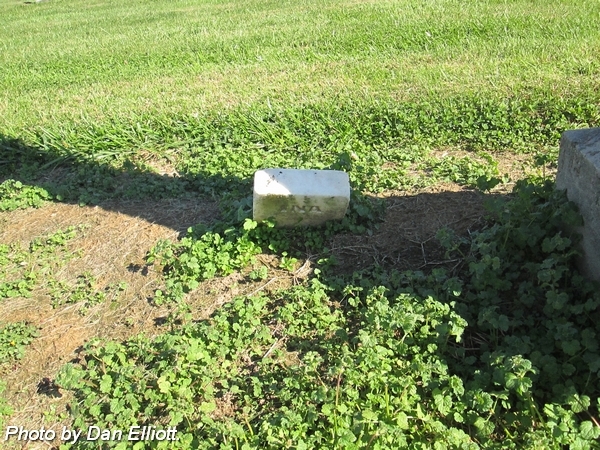 Bottom of stone is missing. 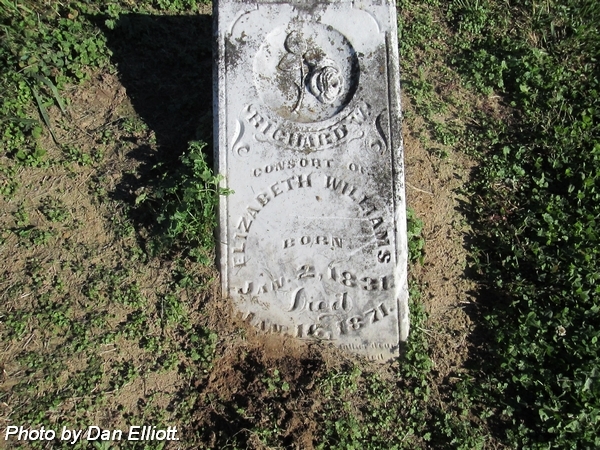 Daughter of Richard Wyman & Elizabeth Ann (Cox) Williams. nee Cross. 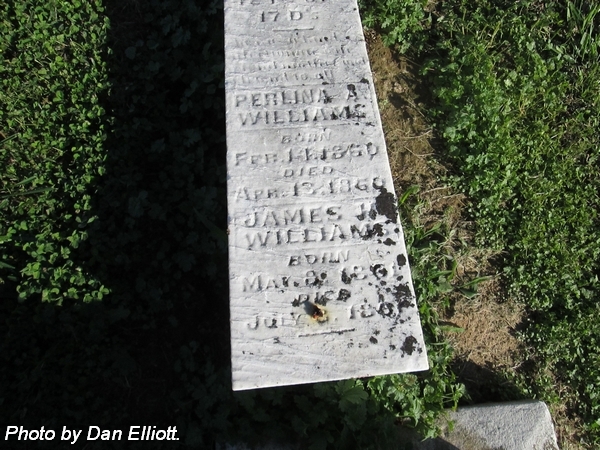 Wife of Fredrick B Williams. Married 16 Feb 1853. 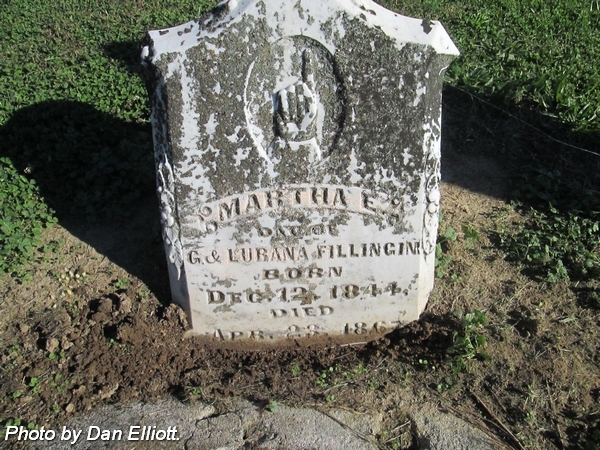 Daughter of Reuben & Martha "Patsey" Cross. Aged: 42 Y's. 6 M's. 17 D's. 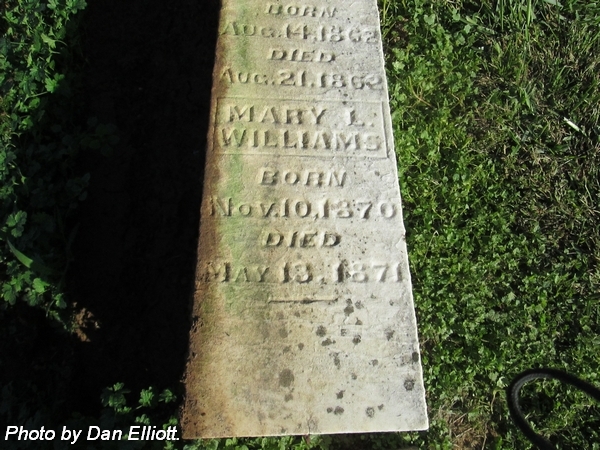 Daughter of Joseph & Sarah Florence "Sally" (Carney) Williams. Aged: 17 Years 11 mo's & 1 day. 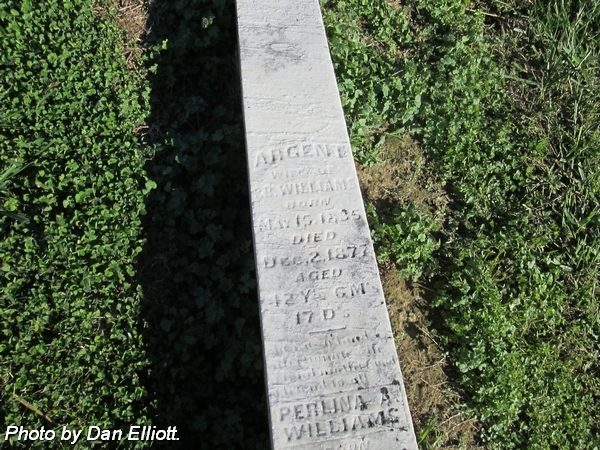 Daughter of Frederick B & Martha Argent (Cross) Williams. 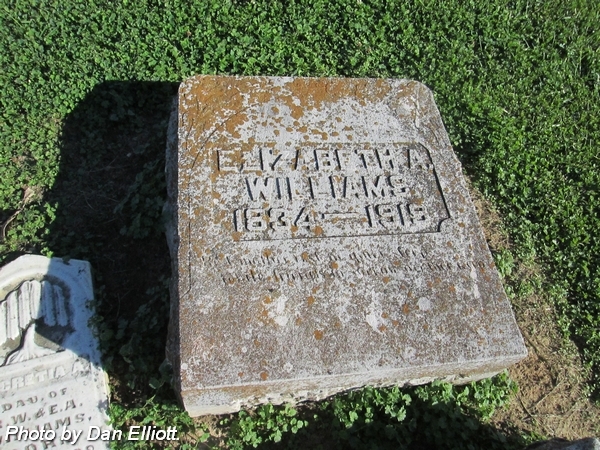 Consort of Elizabeth Ann (Cox) Williams. 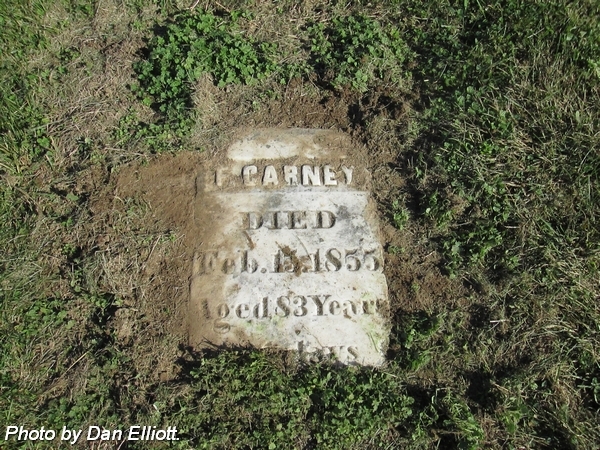 Married 29 Aug 1852.
nee Carney. 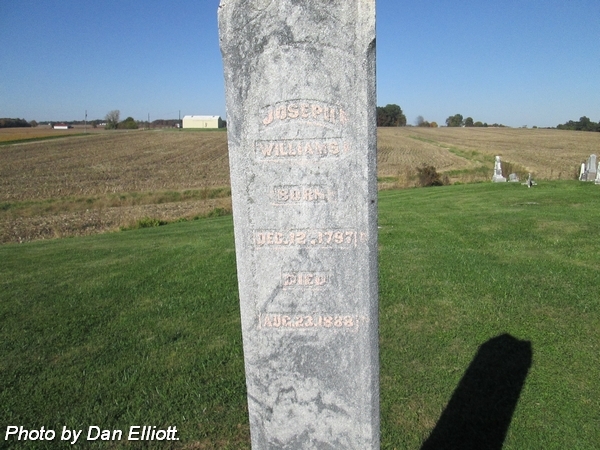 Wife of Joseph Williams. 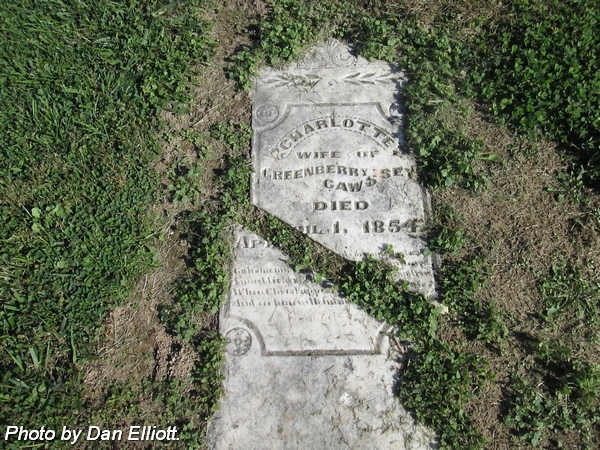 Married 6 Jan 1825 in Craven County, North Carolina. Aged: ? Years 6 mo's. & 10 d's. 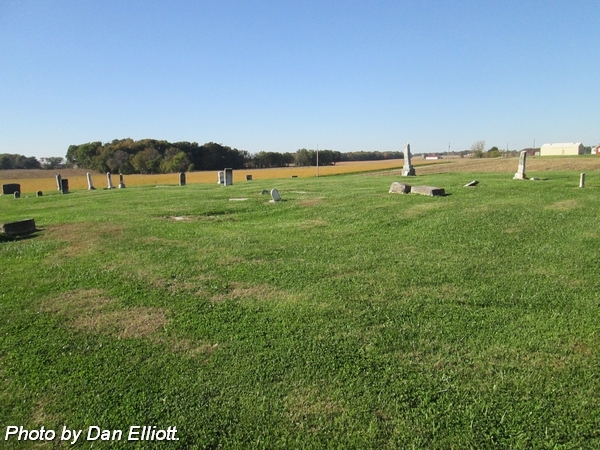 View from the southwest corner of the cemetery. 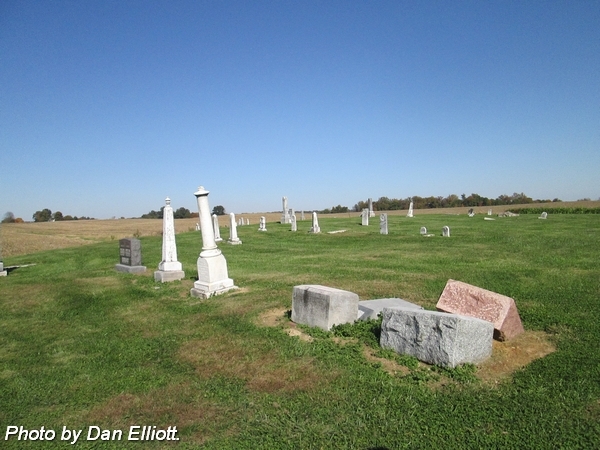 View from the southeast corner of the cemetery.